Rendered by Roro Liu after 2 days of work, this project also involved designer Yuchen Pei. The interface seems taken from an iOS model and the Red Bull Can Phone comes with wireless charging, as well as bone conduction technology. 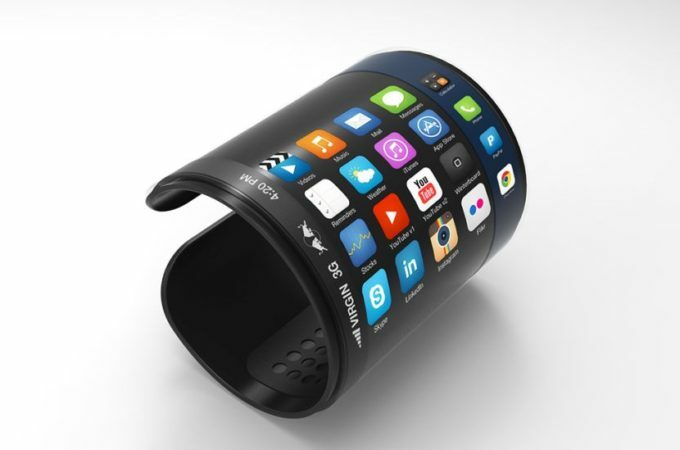 It’s all shaped like a cut out cylinder, or a bracelet that wraps around your wrist, providing all the fitness info one may need. A pulse sensor should also be included and this whole thing probably has a flexible OLED screen in the mix. The inner portion of the Red Bull Can Phone is all sensors probably and I’m guessing this bracelet is also waterproof and dust proof. And this device isn’t called a Phone for nothing, since it also has a SIM and 3G, probably also 4G connectivity. I bet that two months after this comes out, Apple and Nike will have a smaller and cooler version out.